Wanting to assist businesses make sense of new 2018 tax laws and to maximize their tax returns, Small Business Accounting Solutions LLC has launched their specialized tax preparation service. Brookfield, Wisconsin-based Small Business Accounting Solutions LLC, a CPA tax preparation service that specializes in small business taxes, has launched their ‘2018 New U.S Tax Laws’ service. Looking to help more small businesses maximize their returns, Small Business Accounting Solutions LLC works one-on-one with clients to achieve their financial goals. More information is available at https://sbasgroup.com/taxprep.php. Recently released, the 2018 New U.S Tax Laws service helps small businesses make sense of their tax liabilities and covers all deductions and credits. This approach helps small business owners gain the most from their return without confusion. 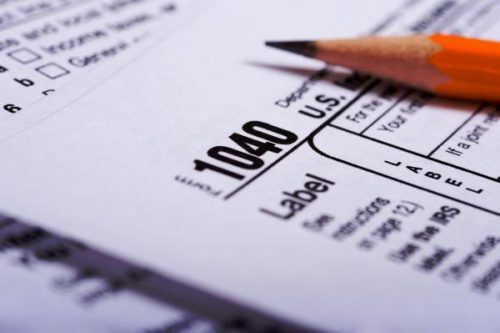 In a study released by the US Government’s General Accounting Office more than 77% of 71 million taxpayers believed that they benefited from using a professional tax preparer. Those who prepared their own taxes felt confused by the new laws and had more questions than answers. However, the 2018 New U.S Tax Laws service offers clients a professional CPA solution and answers many of these questions. All tax returns are checked and then rechecked using sophisticated computer software that identifies IRS problems. The math is reviewed to eliminate IRS contacts. Tax returns are also electronically filed so that refunds are received faster. Payroll withholding is also adjusted to increase business cash flow, and Small Business Accounting Solutions shows clients how to limit their tax liability for the following year. As a small business owner himself, Dan Milos, owner and a CPA at Small Business Accounting Solutions, knows what it feels like to constantly worry about cash flow and taxation. Often fearful of the IRS as a business owner, Dan Milos wanted to find better solutions for other business owners so they were no longer surprised by hefty tax bills. Thus, Small Business Accounting Solutions became a reality with the organization helping hundreds of business owners to find more effective taxation solutions. To find out more about Small Business Accounting Solutions LLC and their 2018 New U.S Tax Laws service, please call 262-547-6000 or click on the link above. Site visitors can learn more about the company, their tax services, read financial guides, and gain access to the tax center and other taxation resources.